your chips. 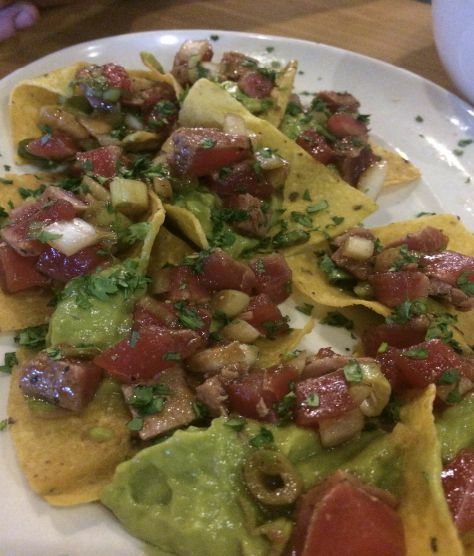 Once you have your entire Poke placed onto the chips add dabs of guacamole. These nachos are great for bar menus and appetizers.